One of our major projects was the conservation of the South Oculus window, completed in 2013. 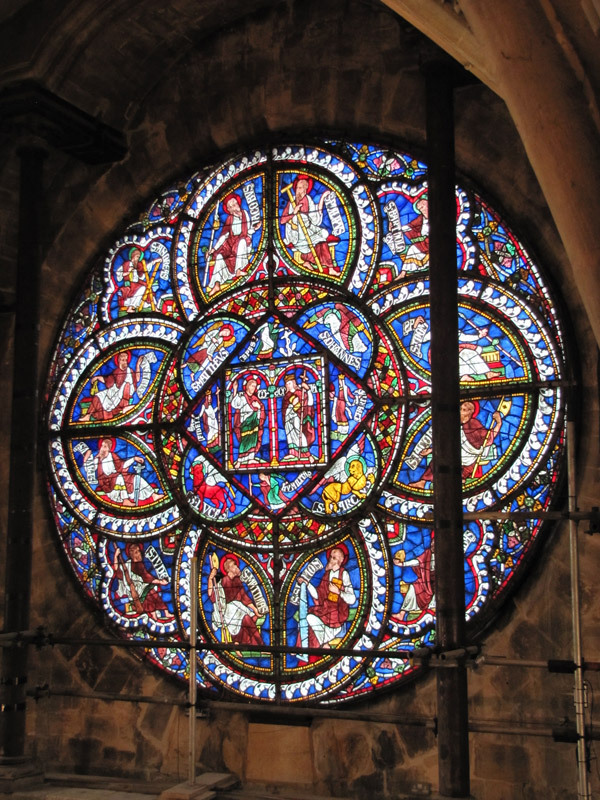 This great round window, 4.5m in diameter and set high up in the south-east transept, is one of a pair. 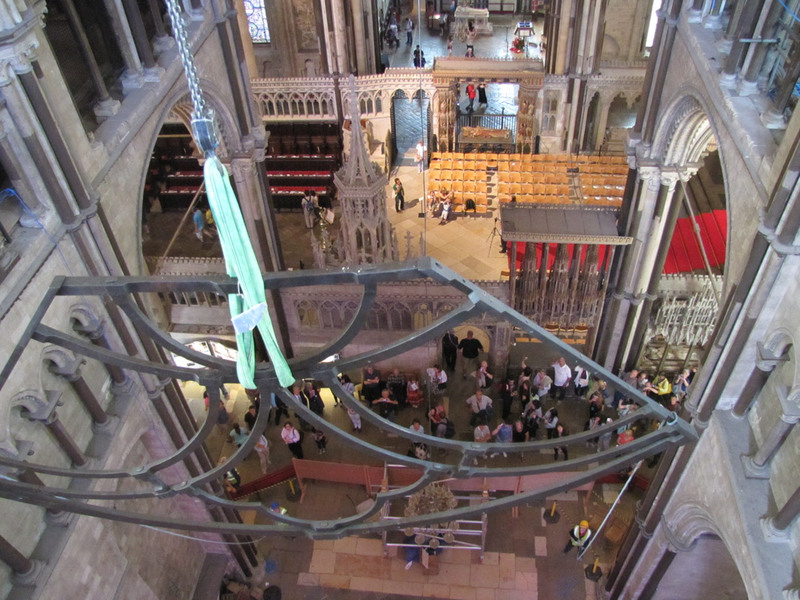 Its sister window, the North Oculus, faces it across the body of the cathedral from the north-east transept. The medieval glass in the South Oculus window was in serious decay, it was deeply corroded and showed an alarming degree of paint loss and loose flaking paint. 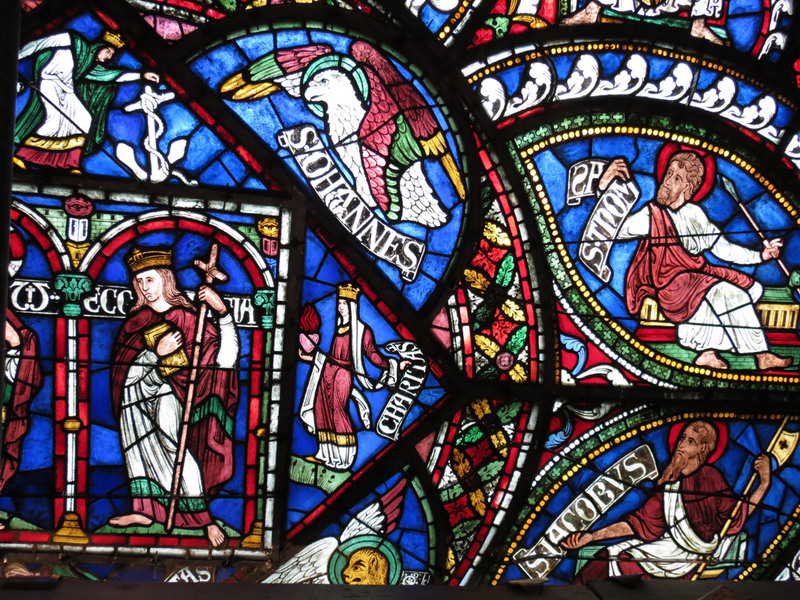 The later 19th Century glass was in a stable condition. 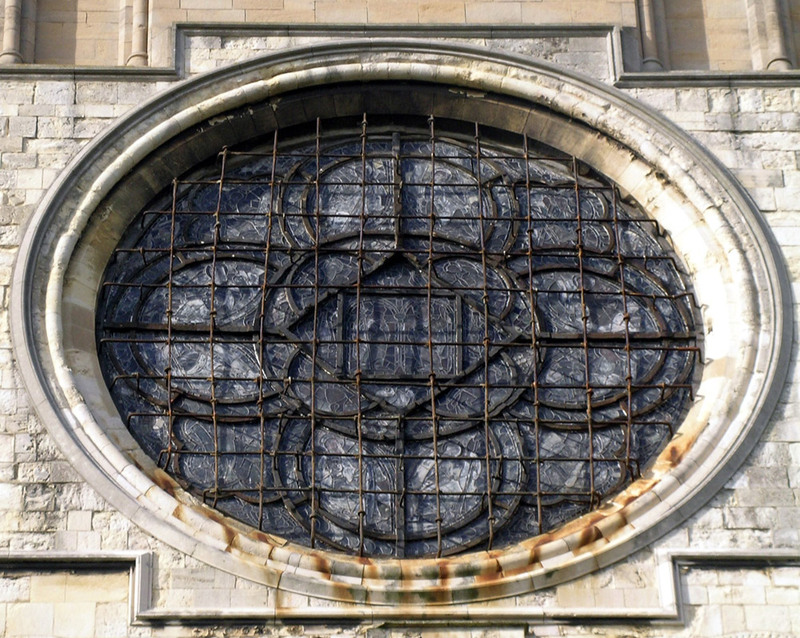 A unique feature of the South Oculus Window is the surviving original medieval external grille. This was created as a response to the structural challenge of placing such a huge window at such a height, where it is exposed to severe wind forces. 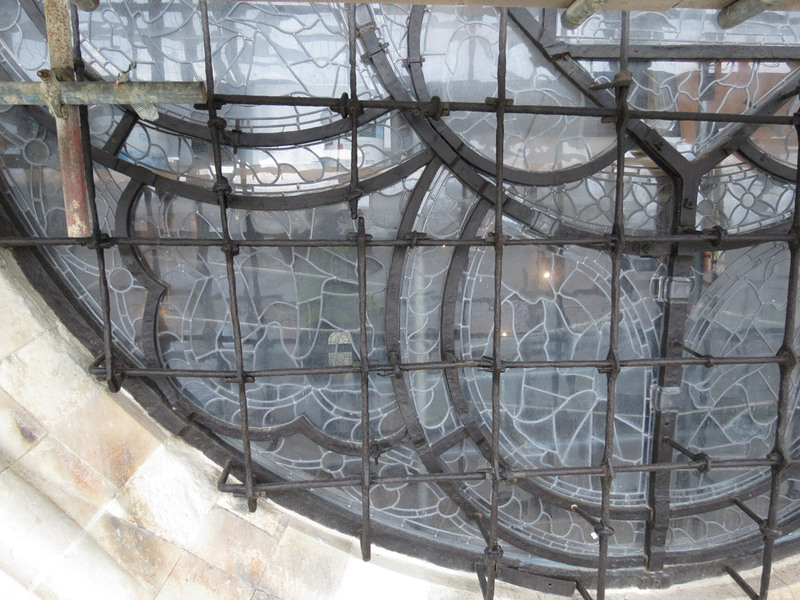 When the stained glass was removed, the condition of the 12th Century ferramenta and the external grille was assessed. 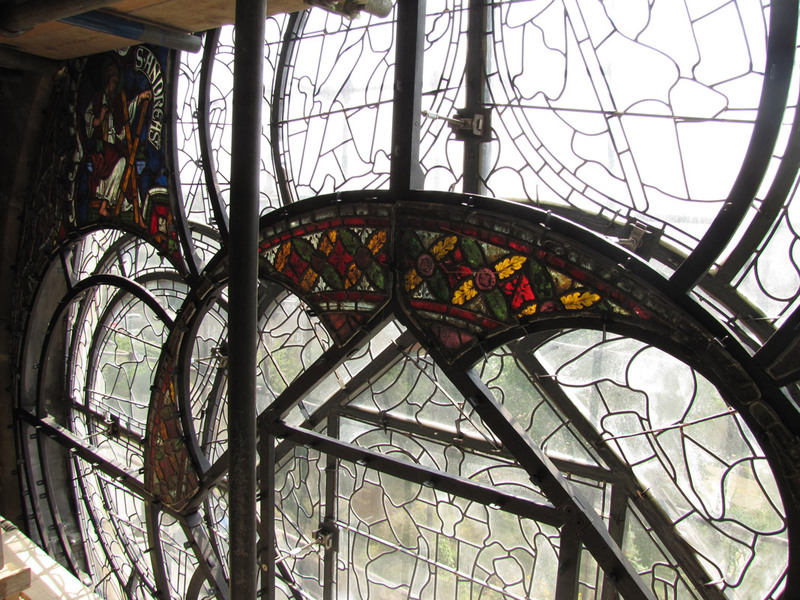 Conservation treatment on the metal frame was undertaken by specialist metal conservators Hall Conservation Ltd.
Once in the Studios workshop, the condition of the stained glass panels were recorded, the glass was carefully cleaned, corrosion products reduced and loose paint consolidated. Once this treatment was completed, protective glazing was fitted into the original ferramenta. 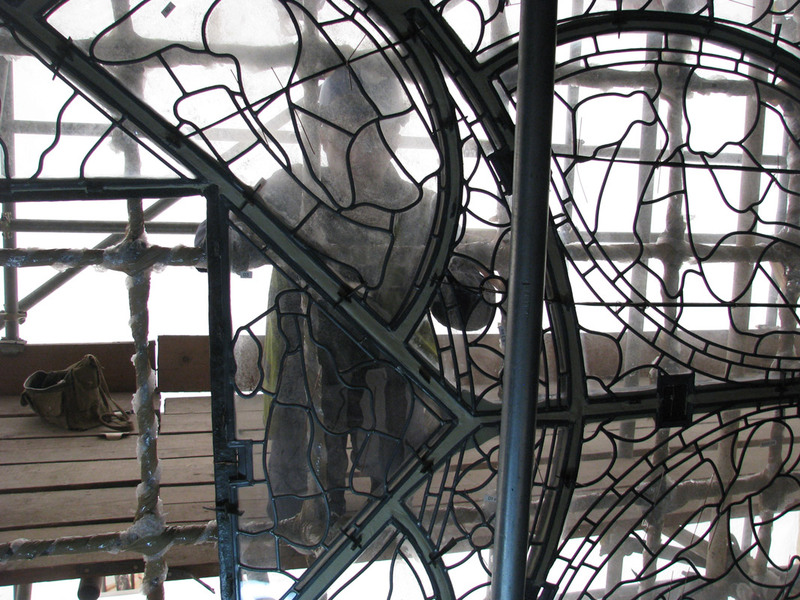 The protective glazing is glazed in a simplified version of the historic stained glass. 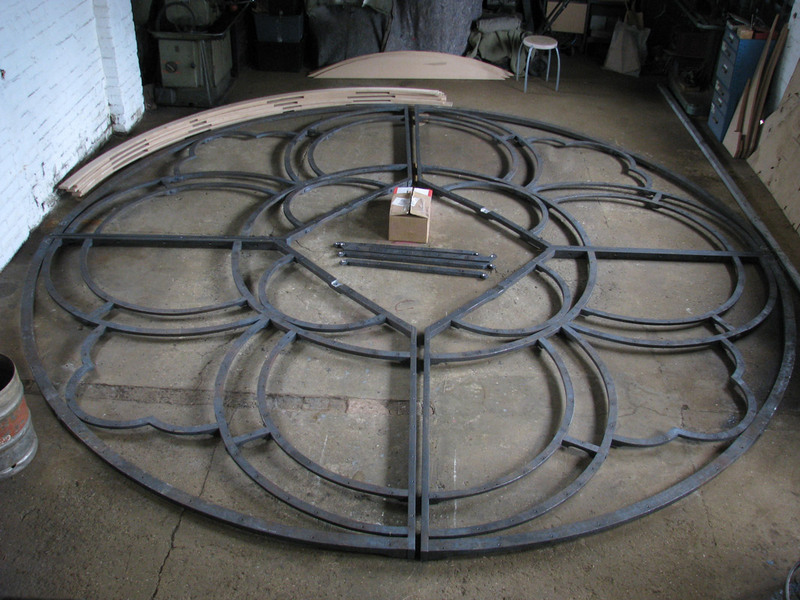 An exact copy of the 12th Century ferramenta framework needed to be produced to accommodate the stained glass. 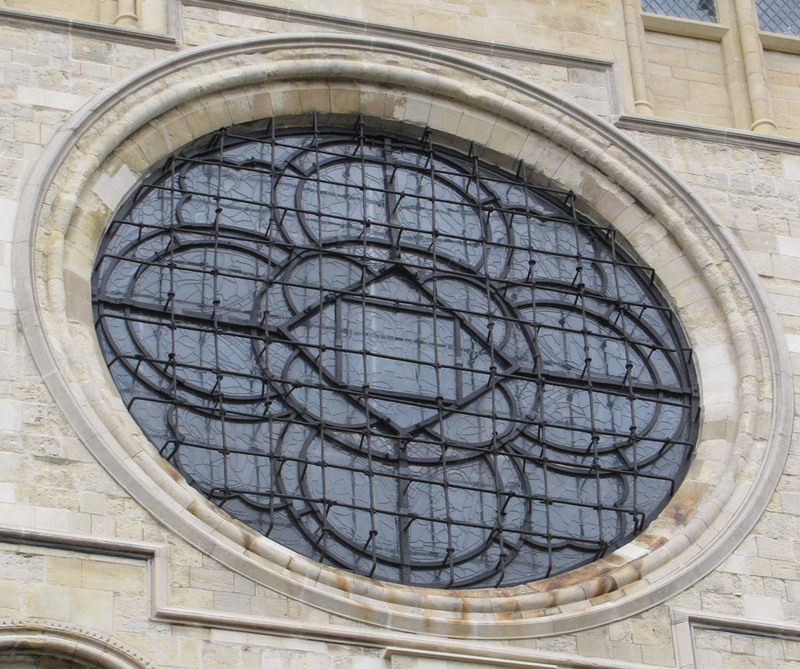 Known as a sub-frame, it was fitted just to the inside of the protective glazing. The enormous task of replicating the ferramenta in forged ironwork was commissioned to Julian Coode at Nailbourne Forge in Littlebourne.